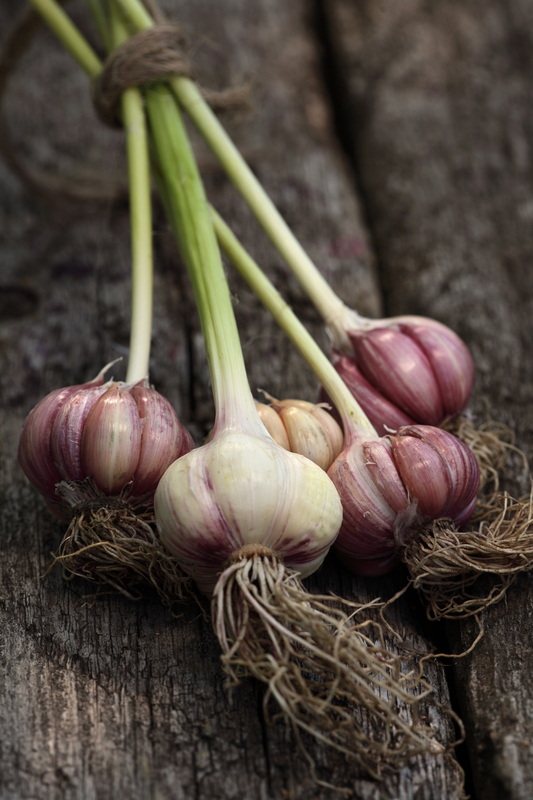 It has long been known that the climate throughout much of BC is conducive to growing various spices, particularly true hardneck garlic varieties. But increased production in recent years shows that BC farmers recognize that garlic has tremendous potential beyond growing it on a casual basis. Garlic alone won’t make anyone ‘stinking’ rich, but it certainly packs a punch, gastronomically and economically. In 2015, BC growers exported roughly $7.3 million worth of garlic, predominantly to China and the United States, a 30% increase from the volume exported in 2014. A similar pattern can be seen in the production and export of other spicy foods from BC. Exports of peppers—specifically black pepper, bell peppers, and paprika—have steadily grown from $19 million in 2012 to $23 million in 2015. Onion exports from BC, meanwhile, exceeded $50 million in 2015, almost all of which was to the US. 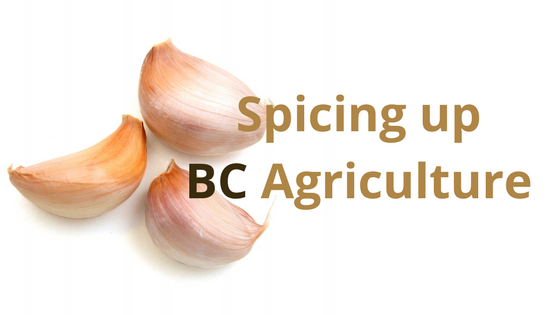 BC could also be well-positioned to capture market share from other garlic and onion producers. In China, unusually cold weather has created a garlic shortage, driving up prices. Severe weather conditions elsewhere in North America over the past year have also limited onion and pepper production. Furthermore, many of those in BC growing garlic, peppers, and onions for export are certified organic producers—an aspect increasingly in demand among consumers in such Asia-Pacific countries as Korea. It is difficult to gauge how much BC garlic is consumed within Canada, but the thriving festivals held each year across the province in honour of spicy foods suggest tremendous popularity. The Hills Garlic Festival in New Denver, which features more than 160 vendors, marks its twenty-fifth anniversary in September 2017. In the Okanagan, the Grindrod Garlic Festival and garlic-themed events in Hester Creek also bring in big crowds. Further north, the South Cariboo Garlic Festival will celebrate its eighteenth year in August 2017. The Chilliwack Garlic Festival is younger than others in BC, but it has successfully expanded its scope to promote many spice varieties beyond garlic. Finally, Metro Vancouver has joined the craze, also holding an annual garlic festival in Richmond. The business potential of these events is obvious—they present an opportunity to sell garlic and other spices to neighbours and out-of-province visitors but also serve as vehicles of agri-tourism for the area. Just as importantly, they can help create a sense of shared culture and inspire others to grow garlic. A missing ingredient, however, in BC’s burgeoning garlic industry is distinctly local dishes that incorporate garlic and which can be used to emphasize the quality of BC’s own brand nationally and globally. Recipes exchanged at the aforementioned garlic festivals go some way toward accomplishing this, but value-added food items offer even greater business opportunities and distinguish one growing region from another. Korea, another major spice producer, can assert the distinctiveness of its peppers, ginger, and garlic through dishes like kimchi, for example. Regardless, these spicy foods deserve a prominent place in future trade missions and efforts to diversify what the province grows. Garlic alone won’t make anyone ‘stinking’ rich, but it certainly packs a punch, gastronomically and economically. Article prepared with data from Statistics Canada’s Canadian International Merchandise Trade Database.